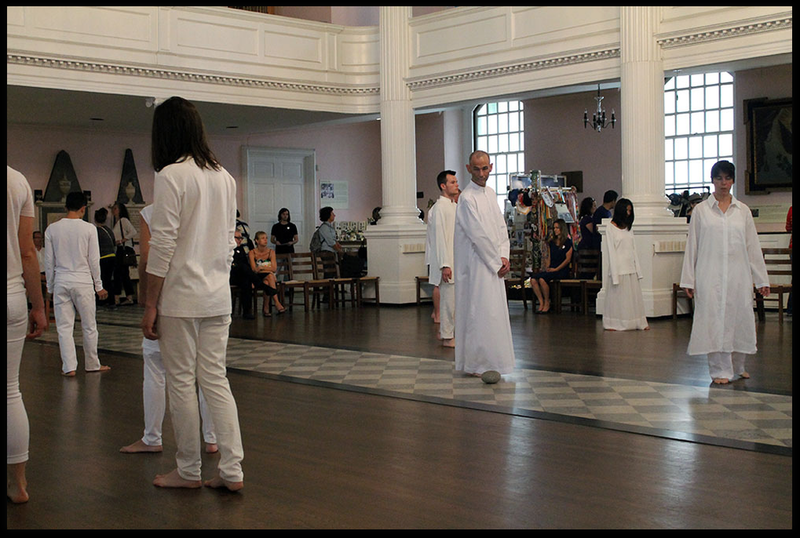 Silent, dressed in white, the participants simply walked counterclockwise and backward in an expanding and contracting circle in the center of the church. No spectacle, no props, no expense. Viewers, most of them tourists visiting ground zero, wandered in from the street. Many lingered. I had planned on a quick trip but stayed for two hours. Holland Cotter of the NY Times declared Ernesto Pujol’s (AP Faculty) “Time After Us” one of his favorite Art Events of 2013.